Do you ever hear a song on the radio and it just takes you right back to a happy place in time? For me that’s 80’s music. High School days. I can remember every word to those songs. They instantly put a smile on my face as memories come rushing back. Songs. Easily learned and remembered. ​Hear, heavens, and I will speak! Listen, earth, to the words of my mouth! and as showers upon new plants. For I’ll proclaim the name of our LORD. Moses’ song goes on to remind them to learn from their mistakes. To trust God. To respect God’s Word and obey it. Easier said than done for this girl who tends to stuff and hide. Stop hiding and start seeking. But seeking God and His Word doesn’t come easy for me. 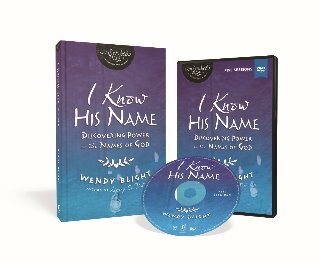 Thankfully I’ve discovered a new resource that I think will make all the difference in the world to me: I Know His Name, a new Bible study by Wendy Blight. ​“It’s not about increasing our head knowledge. 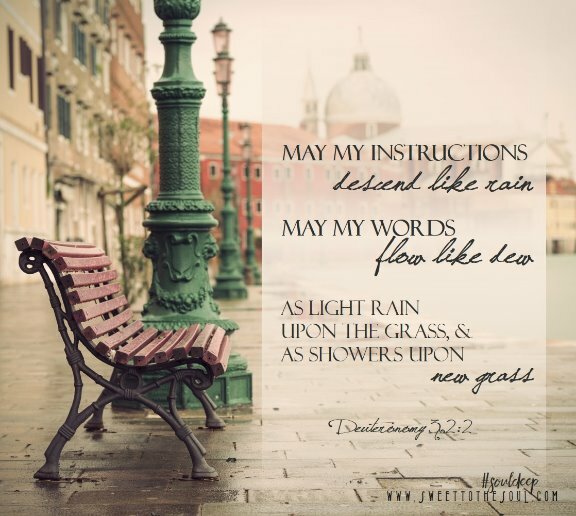 ​Let’s seek God and allow his Word to descend like rain, and to flow like dew. “I love a rainy night...."
Oh, I love a rainy night...ohh.ohh. Ok making those song sounds come to life in letter is hard :) Prayers for your journey as you seek to go deep! It's so good to do it together Kim! 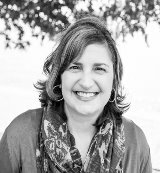 Thanks for sharing this valuable resource with us, Kim:) Oh and by the way, next time we get together we can have an 80's music karaoke singalong! Great post Kim! 80's Karaoke -does it require 80's hair?? "Yes, I love a rainy night"...oh what a crush I had on Eddie Rabbitt. And, I know that this study by Wendy is going to increase my crush on GOD! I can't wait to begin this with my community. So looking forward to Wendy's new Bible Study! Oh Betsy, love all the same music!